It’s already that time of year again ….. the manic Christmas shopping has begun! If your anything like me and my wife, then you will have already made a good start on your Christmas shopping. My wife likes to create a list of everyone we need to buy for and what we intend to get for them …. she’s a good one!! If it wasn’t for her, I’d be running around like a headless chicken on Christmas Eve trying to find gifts for everyone! I’ve always struggled to think of ideas for different family members. So when Boots got in touch about their 50 days of Christmas campaign I was quite excited because they have a great selection of Christmas gifts for the whole family. Their Christmas campaign is geared towards choosing the perfect present for your loved ones. I think it’s so important to show your loved ones just how well you know them and nothing says that better than the perfect gift! I was asked to pick two gifts for members of my family …. read on to find out what I chose and why! My wife spends much of her time looking after our three beautiful children, and whilst she loves them all so much, it’s a hard job. I don’t think any stay at home parent would tell you otherwise! She keeps the whole household going strong, whether it’s making sure we have clean clothes or making sure we have full stomachs, she just keeps on going and going. Me and my wife have been together 9 years and married for 4 years and in that time I’ve got to know just what she enjoys doing. 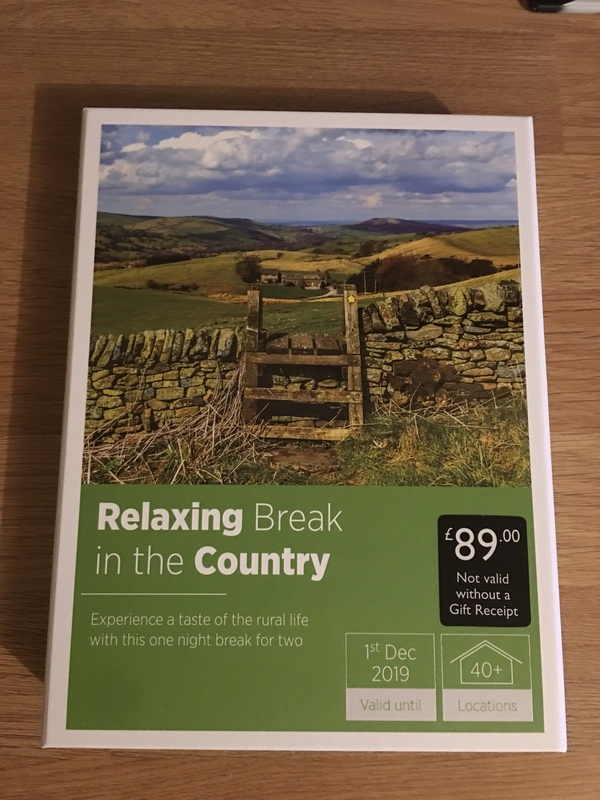 That’s why I have picked a relaxing break in the country for her to fully unwind and take a much deserved break from the busy day to day life! You may not have thought that Boots sell gift experiences but they’ve got a good range to choose from! They’ve got plenty of Christmas gifts for her, whether you’re looking for beauty products, stocking fillers, advent calendars or things for the home, Boots have lots to choose from! It’s not the immediate online store I’d think of visiting when shopping for Christmas but I was pleasantly surprised with their selection of gifts! The next gift I chose was for our eldest daughter Maisie, who’s 6 ….. going on 16! Maisie is at that age where she’s has started to ask about makeup and whenever mommy is getting ready to go out, she has to have some on as well! She surprised me the other week when one of my wife’s friends came over with an eye shadow palette because Maisie knew exactly what it was! 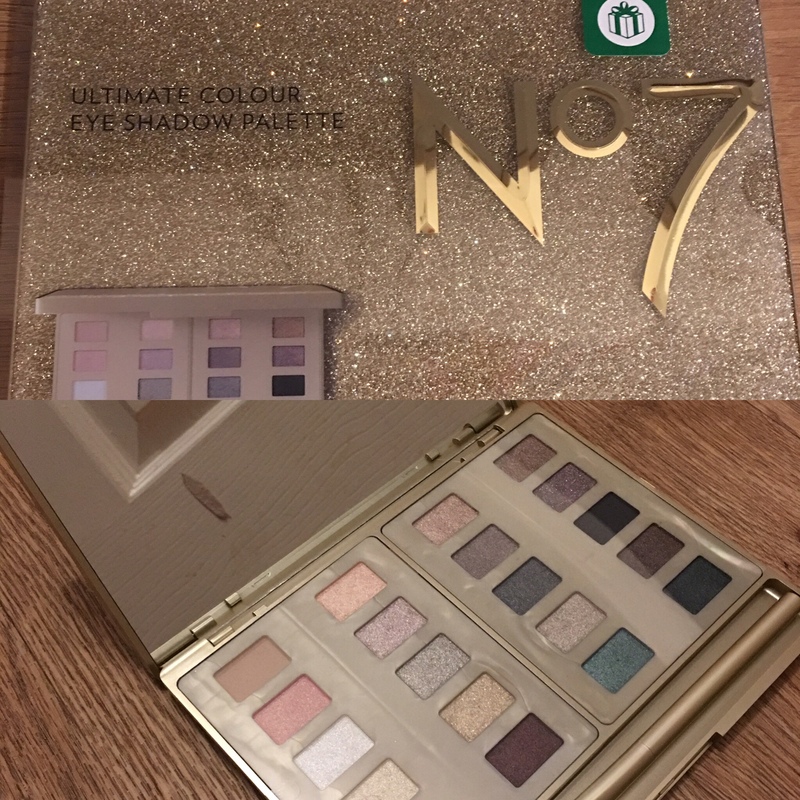 That’s why for my daughter I’ve chosen a No7 eye shadow palette! I know she will absolutely love this gift and it has a lovely little mirror as well. Im not going to pretend that I’m an expert makeup artist but from what I can see, this set has a great selection of colours! I’m sure she will be delighted with this present and I can’t wait to see the look on her face on Christmas morning! I hope you like my choices! I’d love to know what gifting options you’ve got your eye on this Christmas. If you’ve not had a browse on the Boots website just yet, I recommend you do so and I’d love to hear from you if you find any gifts you are thinking about buying for your loved ones!